The presence of HTC's flagship smartphone has long heard some time ago. Especially with the previous information saying that HTC eliminate the name "One M" on its latest flagship smartphone, the original HTC HTC One M 10 became 10. As we know that in the last MWC event held in Barcelona, ​​HTC still reluctant to introduce new flagship smartphone -his. 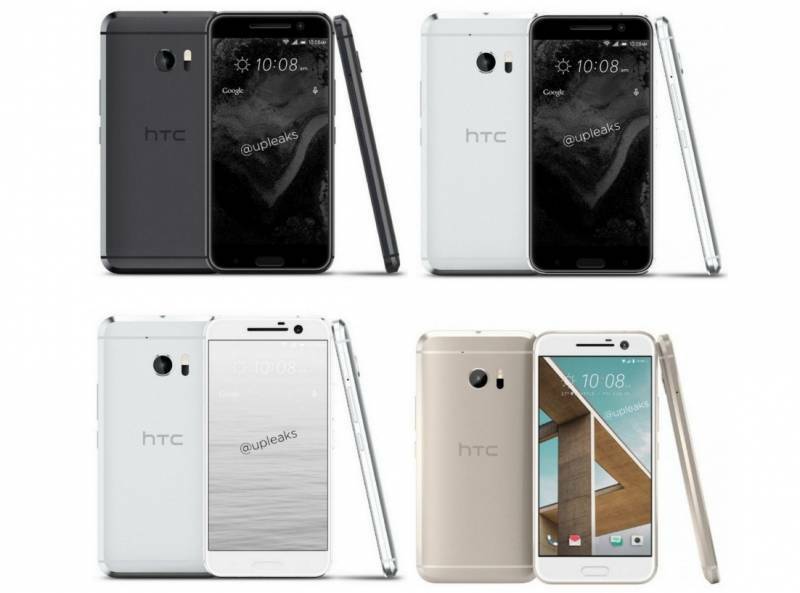 But this time there was a leak from HTC 10 which appear attractive to different colors. Reporting from Droid Life, Tuesday (08/03/2016), stated that the leak came from @upleaks which appears four different colors of HTC 10, namely black, white, gold and black front and white back. Talk specifications, still like the old rumor that HTC is going to carry 10 measuring 5.1 inches AMOLED screen with Quad HD resolution of 1440p. Then do not forget there chipset from Qualcomm Snapdragon 820 is also used in smartphones such as Samsung's flagship Galaxy S7, LG G5, and Xiaomi MI5. For RAM, HTC 10 reportedly be equipped with 4GB of memory size. Turning about the camera, HTC claims that the HTC 10 will be equipped with a camera sensor that is interesting, as has been reported previously. But from rumors that blow, the rear camera of this smartphone will carry a 12 megapixel camera sensor with UltraPixel technology from HTC. 10 Smartphone HTC is also reportedly going to pitch to the public on 19 April. However we judge fairly long, because next week Samsung will market itself globally smartphone Galaxy S7 and S7 Edge, then there Xiaomi MI5 have been sold on a limited basis in China, and LG G5 that will swing the beginning of April..